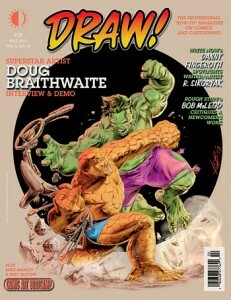 Free preview of BrickJournal #12 for you LEGO fans! BrickJournal editor Joe Meno is off to BrickCon in Seattle (which takes place this weekend; if you’re in the area, stop by for a great LEGO time, and pick up a few issues of our LEGO mag from Tom Stewart, who’s manning our table for us this weekend). 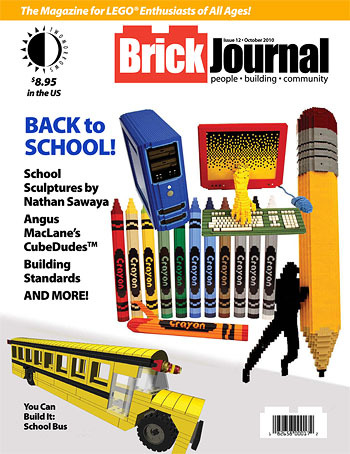 But before he left, he wrapped up BrickJournal #12, a special “Back To School” issue which spotlights, among other things, Pixar’s Angus MacLane’s delightful creations, “CubeDudes” (you gotta see these to believe ’em!). BrickJournal #12 will be on sale on newsstands and in LEGO retail stores on Wednesday, October 20. This entry was posted in TNT on 29 September 2010 by Mr. Morrow. 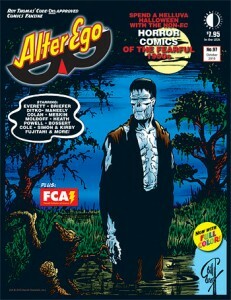 This preview features a large portion of the main article on non-EC Horror Comics of the 1950s. ALTER EGO #97 will be on sale in comic book stores on Wednesday, October 13. But why wait? Click the link HERE, and you can order the Digital Edition and read the whole issue NOW for just $2.95. This entry was posted in TNT on 21 September 2010 by Mr. Morrow. Over the next two weeks, we’ll be shipping three versions of our new book Carmine Infantino: Penciler, Publisher, Provocateur: Softcover, Hardcover and Limited Edition Hardcover (with an original pencil sketch by Carmine in each of 50 copies). The limited edition was available only from our website; we announced it to our Yahoo mailing list and past customers back in the Spring, and the copies sold out quickly, so if you missed out, be sure to sign up for our Yahoo group! This entry was posted in TNT on 20 September 2010 by Mr. Morrow. The Spider-Clone Saga has its origins in Amazing Spider-Man #142 (Mar. 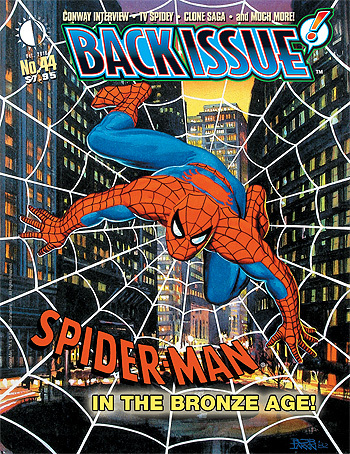 1975), an issue featuring the return of a female looking remarkably like the recently deceased Gwen Stacy. That storyline ended with Peter Parker to fight a clone of himself seemingly to the death, but the Spider-Clone would reappear later in the Spider-Man mythos, as recently as 2009. 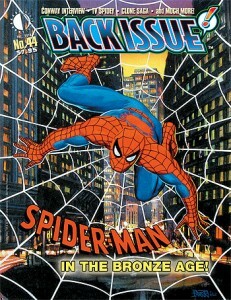 To get the full story behind the Spider-Clone Saga, interviewer Keith Veronese talked with Gerry Conway about the original 1970s storyline, with Steven Butler and Mark Bagley about the resurrection of the Clone as the Scarlet Spider, and with Howard Mackie, Tom DeFalco, J. M. DeMatteis, Glenn Greenberg, and Danny Fingeroth about the later follow-through of the Clone Saga. BACK ISSUE #44 will be on sale in comic book stores on Wednesday, September 22. This entry was posted in TNT on 2 September 2010 by Mr. Morrow. In response to an awful lot of requests over the years, YES!, we are issuing a fully updated version of Kimota!, The Miracleman Companion. 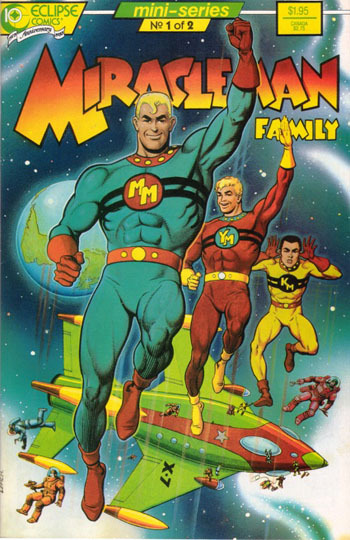 We first published George Khoury’s exhaustive look at the seemingly perpetually-tangled history of Marvelman/Miracleman back in 2001, and since it sold out a few years ago, it’s been selling on eBay for almost as much as the original Eclipse Miracleman issues. 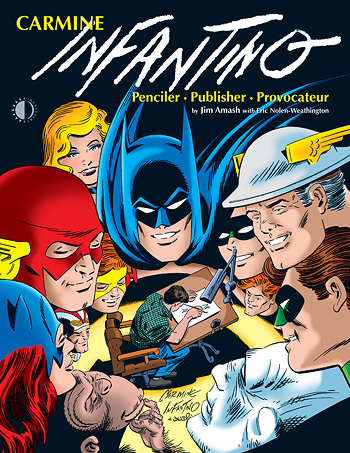 Obviously, a lot’s happened legally with the character since 2001, with Neil Gaiman and Todd McFarlane both claiming ownership. Marvel Comics last year purchased the rights to Marvelman outright from creator Mick Anglo, and has been issuing reprint collections of Marvelman stories from the 1950s (but alas, the hallowed Alan Moore-written MIRACLEman stories still seem to be mired in legal quicksand, and won’t be reprinted till that’s all cleared up—hopefully soon). This entry was posted in TNT on 1 September 2010 by Mr. Morrow.